"I was tickled to find a non-GMO source of phosphatidyl choline that is also in a powder form so you can avoid another capsule. Use one heaping teaspoon of HB-PC daily." Studies have shown that our bodies accumulate toxins that can damage critical internal body systems. At Happy Bodies®, we believe that your body has the natural ability to cleanse itself. 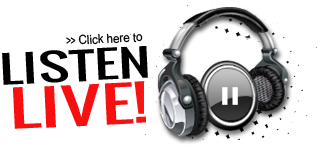 Our mission is to provide you with products and information that safely support and enhance this natural detoxification process. Phosphatidylcholine is an essential phospholipid that is a significant building block of every cellular membrane in your body. One of PC's unique chemical properties is that it is amphiphilic, or simultaneously hydrophilic (water-loving) and hydrophobic (water-repelling). The structural versatility of PC endows cell membranes with the ability to help regulate the natural passage of nutrients into, and waste products out of, your body's cells. For this reason, PC is recognized as an essential nutrient for the body's detox pathways. In addition, PC is a precursor to a brain chemical called acetylcholine that is an important neurotransmitter involved in memory and other cognitive functions. It also plays a key role in the transport and metabolism of fat and cholesterol in your body. Happy Bodies® GMO-free HB-PC promotes healthy liver and heart function and supports daily detoxification for optimal health. 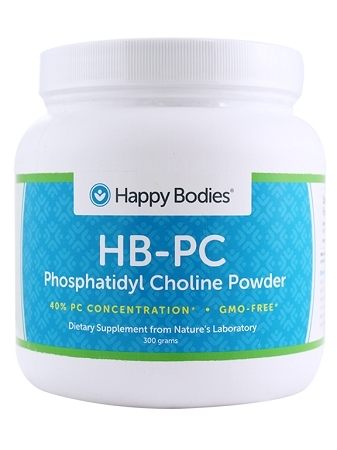 Happy Bodies® HB-PC 40% powder is GMO-free and more potent than regular lecithin(1). Our high quality powder blends well into water, freshly-squeezed fruit or vegetable juice, or your daily Detox Cocktail®. Those allergic to soy usually tolerate this powder due to the extraction process used to isolate this essential phospholipid from soy lecithin. This extraction protocol leaves all soy proteins and other soy components behind, making it very non-allergenic and suitable for vegetarians. Why take Happy Bodies® HB-PC? 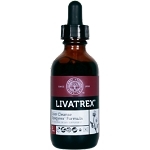 Wellness - supports daily detoxification for optimal health and promotes healthy liver and heart function. Quality - manufactured in a facility certified by third-party auditors to be compliant with the FDA's current Good Manufacturing Practices ("CGMPs"). GMO-Free - the soy lecithin powder used in HB-PC is certified by the ingredient manufacturer to be free of genetically modified organisms (PCR Negative). Purity - no fillers, binders, preservatives, excipients, or artificial colors or flavors; ingredient processing does not include treatment with ethylene oxide. Directions: As a dietary supplement, take 1-3 teaspoons (3.3-10.0 grams) daily with meals or as directed by your healthcare practitioner. Mix Happy Bodies® HB-PC with water, freshly-squeezed fruit or vegetable juice, or your daily Happy Bodies® Detox Cocktail®. Notes about HB-PC: Because we choose not to add excipients, fillers or preservatives, this natural product may cake together. Caking does not affect product quality. Exposure to air or humidity can increase this effect, so we recommend that Happy Bodies® HB-PC be stored in a cool, dry place.